NASAThe moon as seen by astronauts in space. Space begins at roughly 62 miles (100 kilometers) above the surface of Earth, but our planet’s air supply stretches farther than this. Scientists have discovered that Earth’s atmosphere may actually extend nearly 400,000 miles into deep space – far more than previously understood. 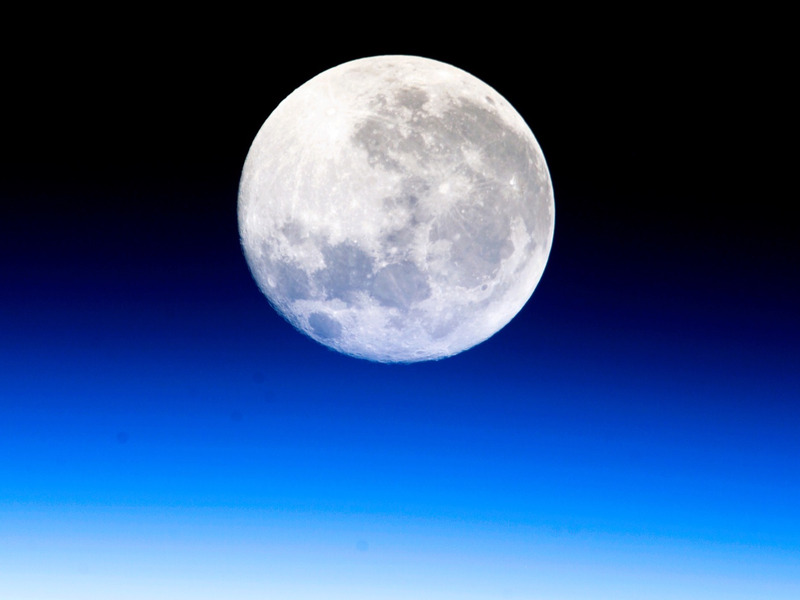 “The moon flies through Earth’s atmosphere,” one of the researchers said. The boundaries between planet Earth, the moon, and deep space just got fuzzier. According to a new analysis of data recorded by a spacecraft more than 20 years ago, the outer fringes of our cosy planet’s atmosphere stretch far beyond what is typically imagined. In fact, Earth’s supply of hydrogen gas – the lightest air molecule and element on the Periodic Table – may extend nearly 400,000 miles out. That’s plenty of reach to envelope the moon, which orbits our planet at an average distance of 238,856 miles away. Formally known as the Solar and Heliospheric Observatory, SOHO is operated jointly by NASA and the European Space Agency. An international team of researchers including Baliukin published their research this month in the journal JGR Space Physics. NASAApollo 16 astronauts took this ultraviolet photo of Earth passing in front of the sun in 1972. The image shows our planet’s hazy ‘geocorona’ or tenuous envelope of hydrogen gases. The internationally recognised boundary of space is called the Karman Line, and it’s a border that exists 62 miles (100 kilometers) above Earth’s surface. But contrary to popular belief, Earth’s atmosphere has no clear or official boundary. Earth’s gravity hugs most of the densest gases close to its surface, including oxygen, nitrogen, carbon dioxide, and water vapour. Meanwhile, hydrogen and other very light gases drift deep into space. Scientists knew that fleeting amounts of hydrogen drift far enough into space to merge with the solar wind. But the boundaries or envelope of that hydrogen cloud – called the geocorona – has never been fully clear. The geocorona is invisible to human eyes. 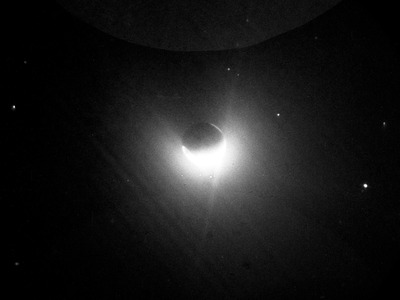 Hydrogen absorbs and re-emits sunlight in ultraviolet light, though, so Apollo 16 astronauts were able to photograph Earth’s tenuous hydrogen cloud with ultraviolet-light-sensitive film during their moon mission in 1972. Read more: SpaceX just launched an Israeli mission toward the moon. If successful, it would be the world’s first private lunar landing. SOHO, which has been in operation for about 23 years, carries an ultraviolet-light-recording instrument called SWAN (short for “Solar Wind ANisotropies”). It was designed to study the sun’s particles, which can have huge ramifications on Earth, such as solar storms that can disrupt satellites and take out electrical grids. However, by carefully reanalyzing two-decade-old observations from SWAN, an international team of scientists narrowed the data down to study hydrogen around Earth. 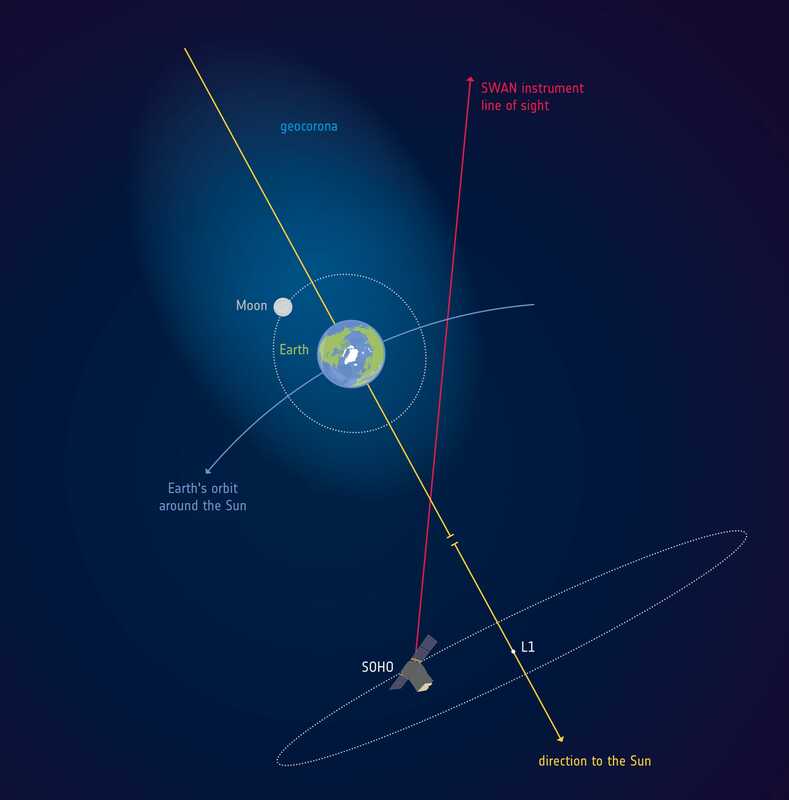 ESAAn illustration that shows how far Earth’s geocorona extends into deep space. From that analysis, they learned that even the side of Earth that faces the sun has an envelope of hydrogen extending far beyond the moon’s orbit. Behind Earth, on its dark side, pressure from the solar wind pushes the planet’s outermost atmosphere into a bulbous tail that extends around 391,000 miles (630,000 kilometers) into deep space. “Astronauts on the lunar surface did not know that they were actually embedded in the outskirts of the geocorona,” Jean-Loup Bertaux, a geophysicist and coauthor of the new study, said in the release. The researchers noted that the density of the hydrogen cloud is so fleetingly low that it’s still a vacuum out there. But the discovery could nonetheless have significant ramifications for new observatories that study the universe in normally invisible wavelengths of light. “Space telescopes observing the sky in ultraviolet wavelengths to study the chemical composition of stars and galaxies would need to take this into account,” Jean-Loup said in the release.